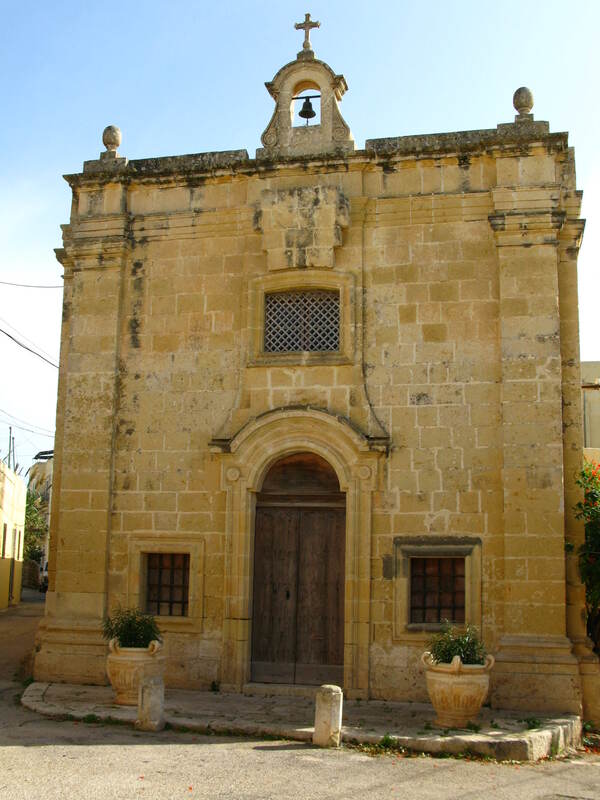 Legends abound in Malta and the story of San Mattew’s church and the live-in lovers is one of a kind. St Matthew’s is in fact two chapels in one. 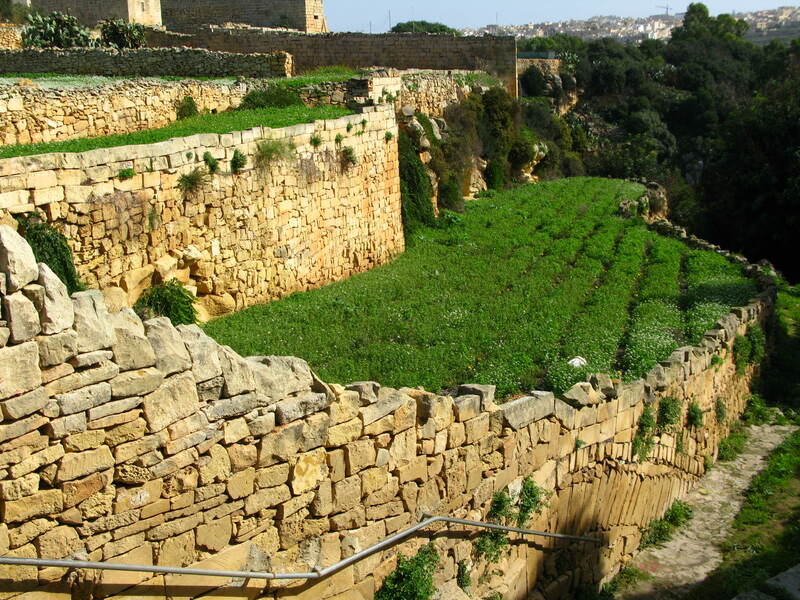 The smaller one at the back was one of the first to be built after then Arabs were expelled from Malta. 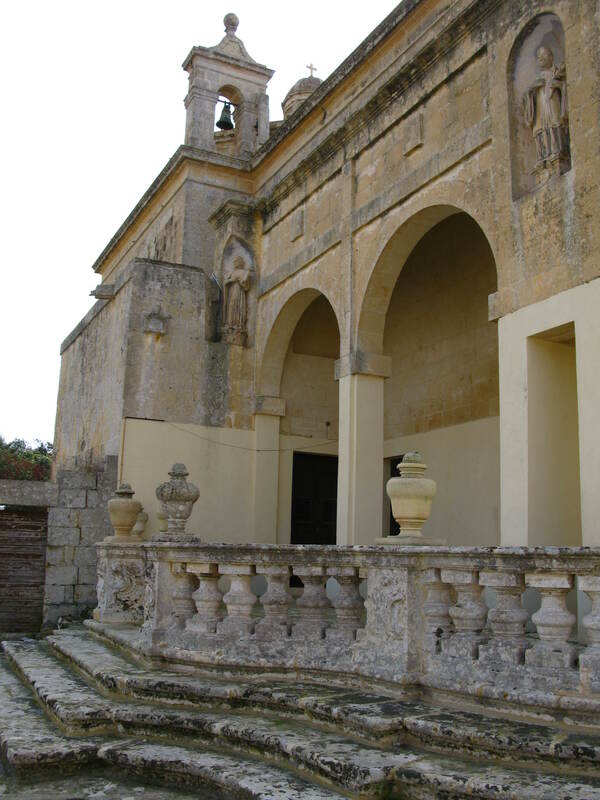 The larger one at the front was finished in 1682 and the two are joined by a stairway. stand on two levels and the great divide can still be seen. When Mr M stopped to ask directions, we found out that there are no fewer than seven chapels in this area. We managed to find three. Some are out in the fields at the bottom of laneways; others are tucked away between the rows of terraced houses that have been built up around them. All share the same simplicity of stone and colour, very much reminiscent of a time when churches had a function in our lives. Don’t ever let anyone tell you that there’s nothing to do in Malta once you’ve seen the temples and the hypogeum. I was over there recently and took a half-day to go chapel-chasing. Armed with the book 100 Wayside Chapels in Malta and Gozo and the intrepid and very knowledgeable Mr Micallef as my guide, we set off to see what we could find. 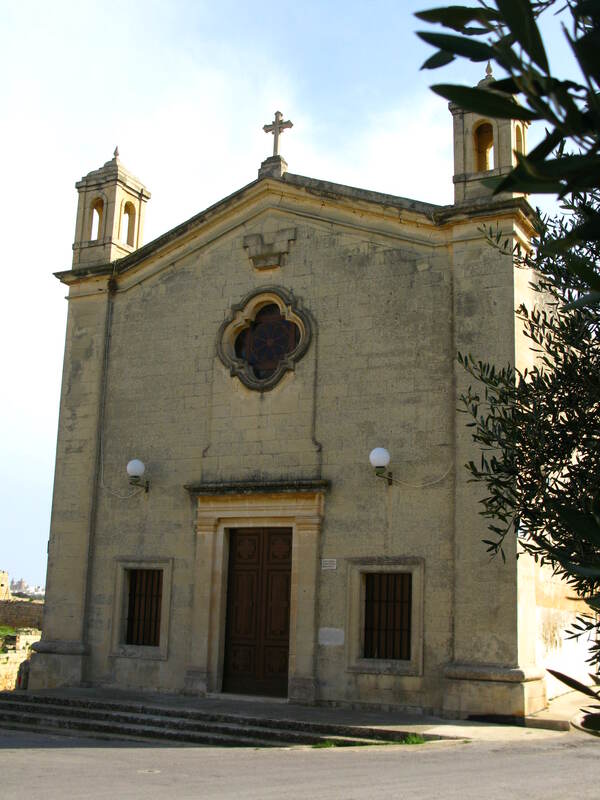 Rumour has it that there are 365 chapels and churches in Malta – one for every day of the year. Mr M reckons this figure tops 400 and I have no trouble at all believing that. 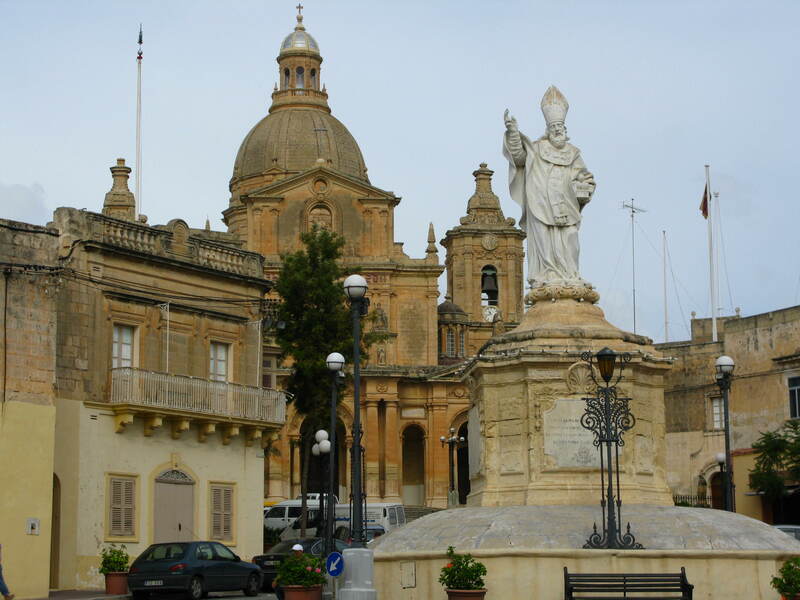 Some town squares, like Siggiewi, are framed by three churches: the original small chapel, the newer RC church, and the old chapel of the Knights of Malta. We drove up and down country lanes looking for old chapels with a history or a story to tell. Most have an open window to the left of the main door through which the faithful can see the tabernacle and light their candles. 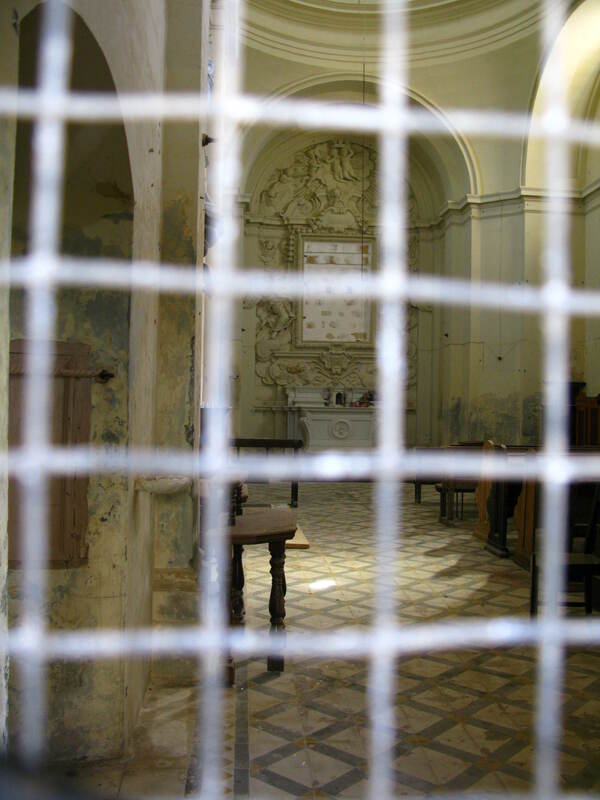 So even if the church is locked, it is open. Others have signs outside telling would-be criminals that they can forget any ideas of taking refuge in the sanctity of the chapel. 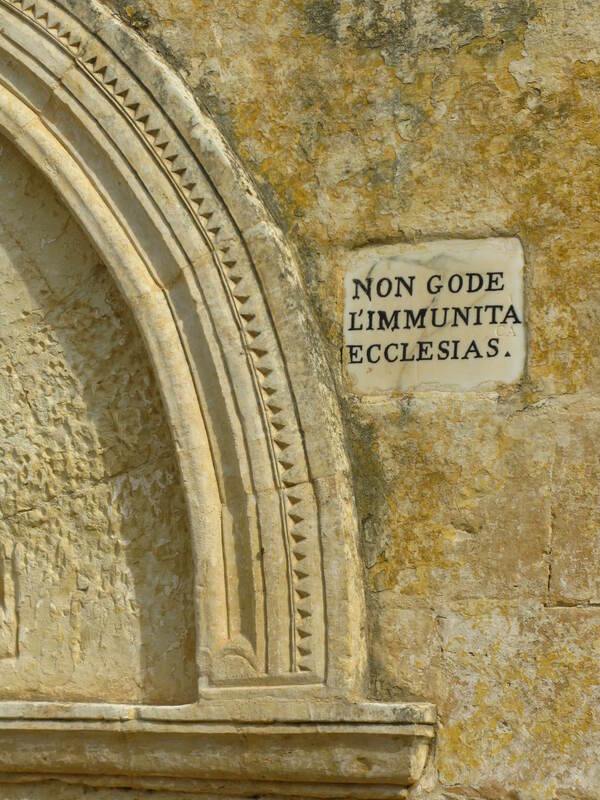 This was such a common occurrence in Malta back in the day that many chapels decided to revoke the idea of the church as a refuge and cancel any offers of immunity. I suppose it was one way of separating the righteous. The earlier churches and chapels that I saw are very simple, very basic, and still retain what I can only describe as that sense of oneness. Places you can go to commune with your god without the distractions of fine art and fancy decor. 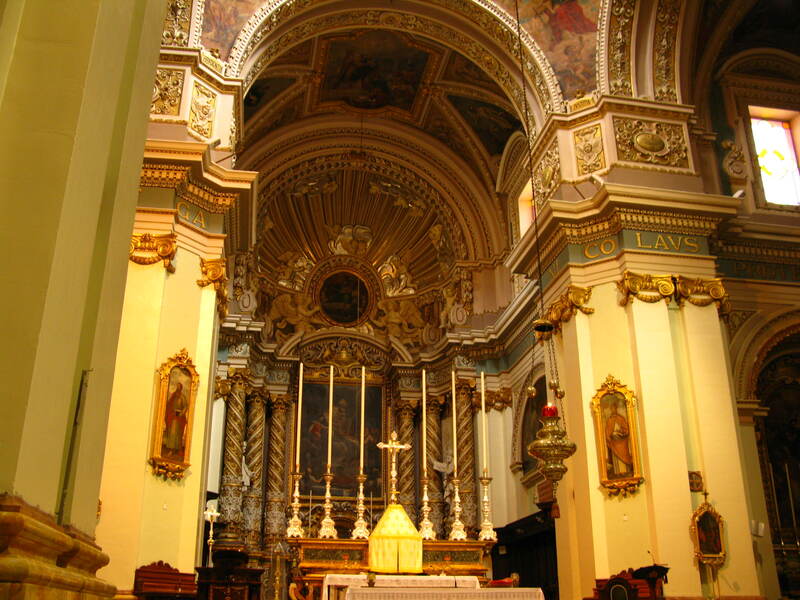 The bigger RC churches are more ornate and time spent inside is more like spending time in an art gallery. Their beauty is not in doubt; I just question their raison d’etre. Argentinean artist Agustina Woodgate, aka the poetry bomber, has extended her reach from Miami, Florida, to Berlin. Equipped with the tools of her trade – needle, thread, and scissors – her modus operandus is to casually enter a charity shop and then quickly sew a short quote into a piece of clothing without anyone noticing. If you buy a skirt in a charity shop in Miami, you might well find a Sylvia Plath quote, ‘Even the sun-clouds this morning cannot manage such skirts’. If you opt for trousers, you might be reminded of Li Po’s words of wisdom: ‘Life is a huge dream/why work so hard?’ Now that she’s moved on to Germany, Berlin charity-shop shoppers could happen across the German translation of the Jimi Hendrix quote, ‘knowledge speaks but wisdom listens’ or anything else that takes her fancy. ‘Sewing poems in clothes is a way of bringing poetry to everyday life just by displacing it, by removing it from a paper to integrate it and fuse it with our lives. Sometimes little details are stronger when they are separated from where they are expected to be,’ Augustina said in a recent interview with The Guardian. Up until quite recently, Budapest would have been off limits to the poetry bomber. Agustina would have found little to interest her cause. Not because of tight security measures, or a national antipathy to poetry (far from it, in fact), but simply because it didn’t have a charity shop. And this gap in the market has been the subject of many an expat remininiscence. Charity shops can be found in every town and village in Ireland and the UK and are part and parcel of the fabric of society. Repositories for clothing, books, and household items that have at least one more life left in them, trolling these shops is a national pastime for many. They’re the first port of call for students furnishing a flat. They’re a haven for voracious readers looking for a cheap fix. They’re an Aladdin’s cave for vintage clothing fans in search of treasure. You can find anything from an abacus to a zither – the full gamut of every conceivable item that can fit on a shop floor. The posher the area, the richer the pickings. A little like the lomtalanítás. And all the time you’re spending, you know that your money is going to a good cause – and not to line the pockets of some already mega-rich conglomerate. Charity shops should not be confused with second-hand clothing shops (hundreds of which line the streets of Budapest). Yes, charity shops are out to make a profit, too, but the profit they make goes to a charitable cause. And unlike second-hand clothing shops, charity shops cannot be set up by individuals – they need to be set up by a charity…hence the name. Back in 1947, the British charity Oxfam launched an appeal for aid to help the post-war situation in Greece. It was inundated with blankets and clothing and decided to open a retail shop in Oxford (which is still running) to sell some of the donations and to use the profits to further fund aid in Greece (there are only so many blankets a country needs). Staffed mainly by volunteers, the charity shop network in the UK alone is fuelled by more than 160 000 like-minded souls who want to contribute their time to a good cause. In 2010, the 9000 or so charity shops in the UK generated more than £170 million, which went to fund everything from animal welfare to medical research and overseas aid. Korhazionkentes – the Hospital Volunteer Care-giving Service Foundation – is the first organisation to tap into people’s charitable streak here in Budapest. It uses the profits from its adománybolt at 6 Üllői út, to recruit and train volunteers to visit with patients in Hungary’s hospitals. So if you’re wondering what to do with all that unwanted stuff in your flat or simply feel like shopping in a shop that does some good for someone else, drop 6 Üllői út, literally a stone’s throw from Kalvin tér. They accept donations between 12 and 6 from Monday to Friday. And they’ll accept practically anything that is clean and still works – books, ornaments, toys, clothes and accessories, CDs, DVDs, cassettes, musical instruments, bags, pictures, jewellery, sports goods, kitchen utensils – the list is endless (but no food or furniture). If in doubt, check with them before you lug it over there. E-mail deak.aniko@korhazionkentes.hu, check out their website at www.adomanybolt.net or call them on +36/20-287-47-97. Who knows, maybe the poetry bomber will drop by and that shirt you pick up might have a little message from Ady Endre stitched inside…. Az adhatás gyönyörüsége (the delight in being able to give). First published in the Budapest Times 18 November 2011. 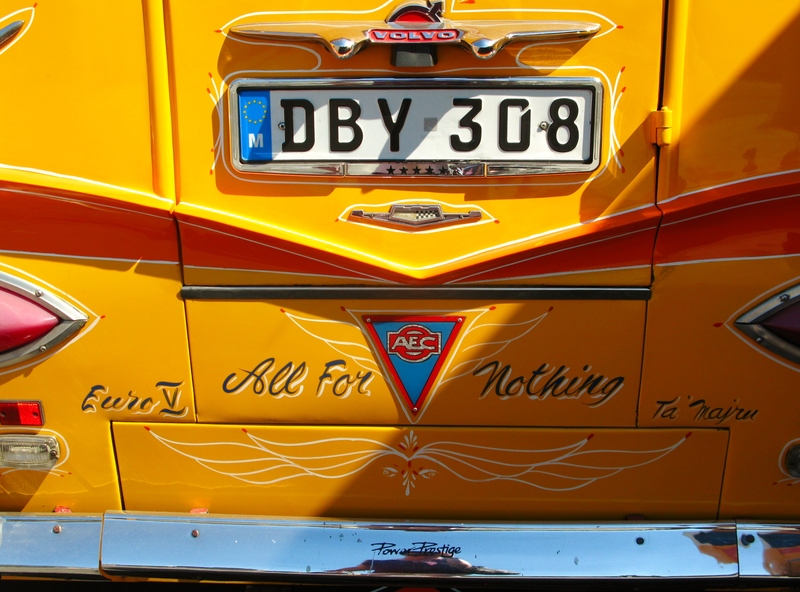 Way back in June of this year, I bemoaned the passing of Malta’s distinct yellow buses as yet another nail in the coffin of individuality. Replaced by the sterile bluey-green and white of the new Arriva bendy buses, progress loomed over the island as a new era was heralded. Many years of planning had gone into the transition; many bids were tendered; and Arriva was chosen as the solution to Malta’s public transport problems, promising a cleaner, more efficient, more reliable service. I’d escaped to Malta early last week, greatly subdued by the goings on in Hungary: on 4 November, Norbert Ferencz, a social worker who had urged others to reach into trash-cans in protest of the 8th district’s prohibition on the homeless foraging for food, was given a three-year suspended sentence, found guilty of ‘instigating to dumpster dive’. I went in the hope of finding reason and sanity and despite my earlier misgivings, I was looking forward to testing the new bus system. I needed the X2 to get to St Julians. The ticket office in the airport was closed for 30 mins – or so the sign said. Unfortunately it didn’t say when these 30 minutes of closure had begun. So I went to the machine in the terminal to buy my ticket. It wasn’t working. So I went to the bus stop and found one that was. The price menu confirmed the details in Air Malta’s in flight magazine – the day pass was indeed €1.50 – for Maltese residents. As a tourist, it would cost me €2.60. So much for ye olde EU equality. 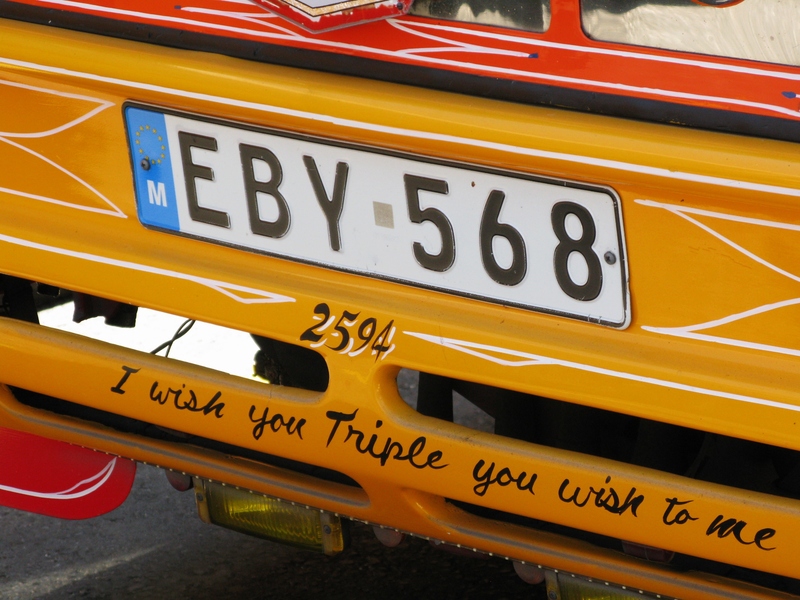 (Check this blog post from Malta for a rather amusing account of being foreign on the bus.) And, unlike other countries, where day passes run for 24 hours from time of purchase, in Malta they expire at 11pm. But hey ho. Off I went to wait for the X2. Three X3, three X4 and three x5 showed up before my X2. I never saw an X1 so can’t testify to its existence. 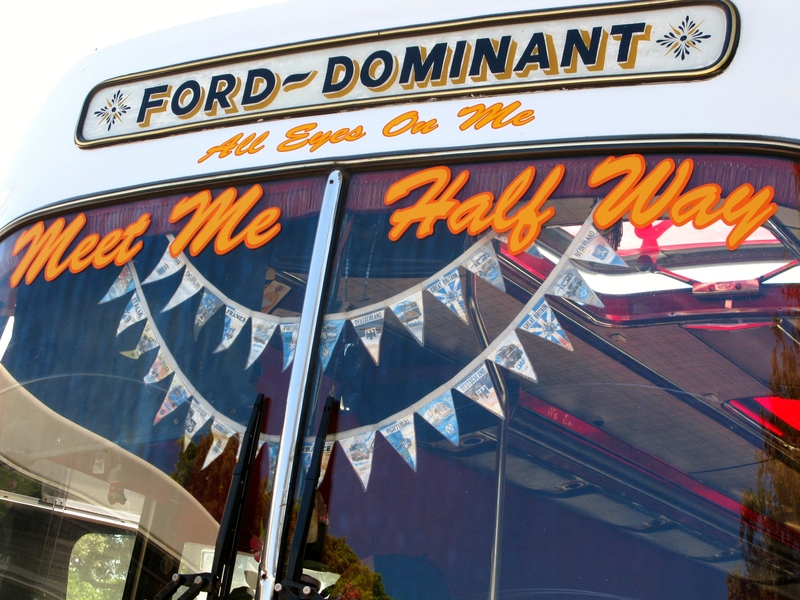 The ticker tape showed X2 but two sheets of neon yellow A4 paper bore a large black X and 3 housed in clear plastic sleeves sellotaped to the window… a bus with an identity crisis. (And how … corporate.) But I was assured that it was an X2. And given the 40-minute wait I’d had, I was really beyond caring. Off we went, on our sightseeing tour. Around the world for sport – up by the hypogeum, down to the racetrack, in through the extensive grounds of the Mater Dei hospital, and then finally, finally, finally to St Julians. During the week I was there, I brought Arriva up in various conversations and far from being the golden child of transport systems, the story moved from the sublime to the ridiculous. Local author Trevor Zahra captured public feeling in verse (scroll down in link for English translation). Longer journey times, undependable timetables, and many breakdowns have driven the Maltese to take their cars to the roads. One person estimated that everyone who could drive in Malta was now driving. The traffic, once bad, is now horrendous. You can taste the air. 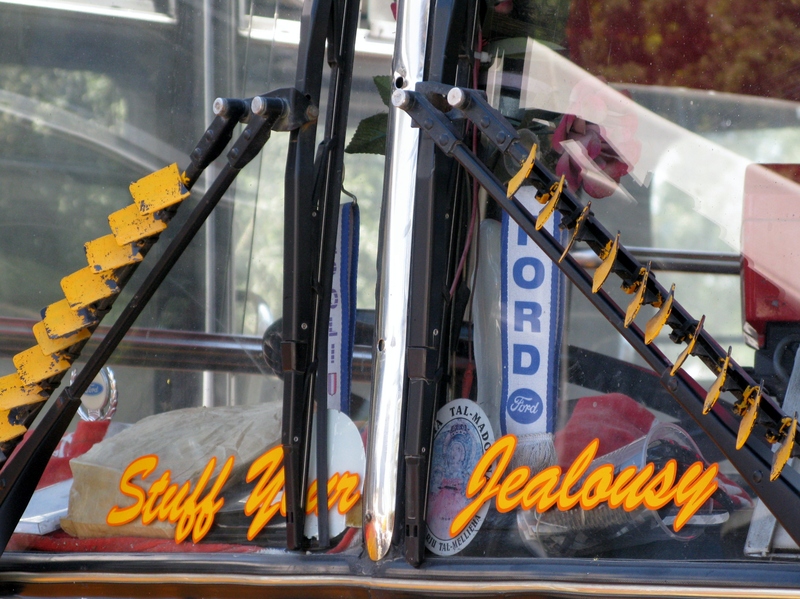 The vibrant, belching buses of old at least had character. This concession to progress is even more subduing – is there no escape? It wasn’t long after I arrived in Budapest that I first heard of ‘them’. I was at the opera with a new Hungarian acquaintance – a well-educated, well-travelled woman of a similar vintage. We got to talking about one of her colleagues whom we both knew. She nodded to me knowingly while declaring that he was one of ‘them’. I asked no questions. I didn’t want to know. Sometime later, while discussing the banking crisis over dinner in a Budapest restaurant with a group of well-heeled, well-travelled, well-educated contemporaries, I was surprised to hear that our present precarious predicament was all ‘their’ fault. I asked no questions. I didn’t want to know. Last week, while bemoaning what appears to be a somewhat alarming descent into social madness, I was pointedly reminded that ‘they’ are the root cause of all Hungary’s problems. I’d had enough. I needed to find out why they are so despised, why they are so openly hated, why they seem to get the blame for everything. I did some checking to see if friends in other countries had come across them – and, perversely, because I love this country so much, I was slightly relieved to find that ‘they’ are held in low regard in Belgium, Germany, Poland, and the UK (then I stopped checking). It’s not just Hungary. But on reflection, that doesn’t make it any better. When I asked why, no-one could or would explain it to me. But then I turned to my old friends Messrs Google and Bing and asked why so many people seem to be ‘anti-Them’. I found that historians have actually done some work on this topic and have listed six reasons why they are so hated. The first is economic – they have too much wealth and too much power. The second, their arrogant claim that they are the chosen people. The third, they’re a convenient scapegoat. The fourth, they’re guilty of deicide. The fifth, they’re different. And finally, sixth, they’re an inferior race. Wow. A heady list of charges indeed … were they true. Let’s look at them in turn. In 17th-20th century Poland and Russia, they were hated – and yet they were extremely poor and wielded no influence whatsoever. As for being the chosen people – doesn’t everyone think that of themselves? I’ve sat in church with many of my compatriots in full knowledge that they believe themselves to be hand-picked by the Man Himself. Convenient to blame? Well, in order to be scapegoat you have to be hated first. As for guilty of deicide? My bible says that Jesus was killed by the Romans and back in 1963, the Second Vatican Council officially exonerated them as the killers of Jesus. So what’s the issue there? Dislike of the unliked is more common and easier to understand but yet they seem to be damned if they try to assimilate [think Aryan response to charges of infecting the pure race with inferior genes] and damned if they stay to themselves. And finally, the race card. Are they a race? As a practising Irish Catholic, I could convert and become one of them, should I so desire. Yet I could never become an Inuit or an Athabaskan Indian. Just how mad does the world have to get before the pendulum swings back and reason begins to prevail? Or did reason ever prevail when it comes to them? I wonder if Roman Catholic Bishop Richard Williamson ever met with President Eisenhower, what they would have to talk about. The former is on record for denying the holocaust, the latter on his visit to the camps, said he ‘made the visit deliberately, in order to be in a position to give first-hand evidence of these things if ever, in the future, there develops a tendency to charge these allegations merely to propaganda’. That would be an interesting conversation indeed! In another life, when living in small-town Alaska, one of the Irish lads I knew got a much coveted union position at the oil terminal. There were just six of us Irish in a town of 4000 at that time. Many who had drowned their Irishness in green beer some months earlier on St Patrick’s Day, took umbrage. My then boyfriend had a knife pulled on him in the pub because he was ‘dating one of them’. I was accused of taking jobs from Americans. The bank where my friend’s wife worked was spraypainted – Éire go home – as was the Union hall. Overnight, a wall dividing them and us had been built. But thankfully, there were many who chose to climb over that wall or go around it; many who accepted us for who we were; many who remembered that, no matter where we come from or what we believe, we are all members of the human race.